I look at this photo and still can’t believe it almost didn’t happen. 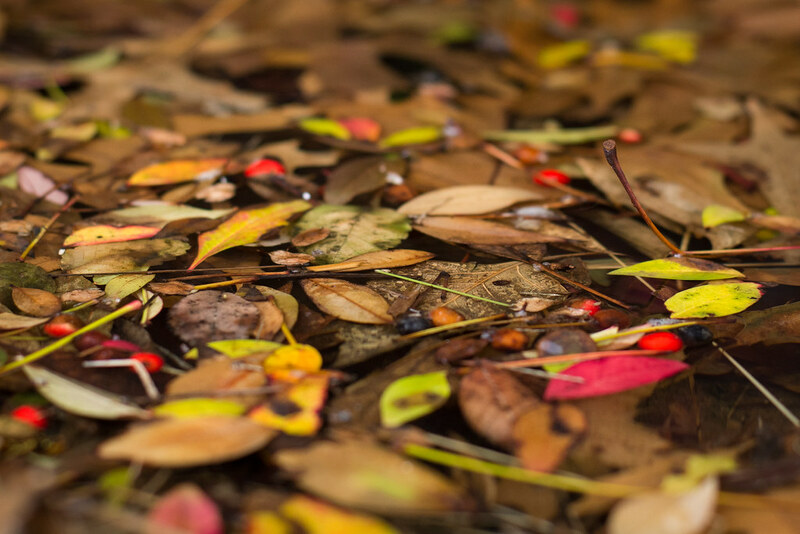 Not that this picture is anything special really, but I do kind of like it and the cornucopia of colors swirling in the puddle–augmented by the leaf stem sticking up on the right-hand side almost like a punctuation mark on the whole scene. But when I shot this I was walking to my office about 9am on a dreary December morning and noticed a puddle right next to where I took a photo of some mushrooms a few months ago. 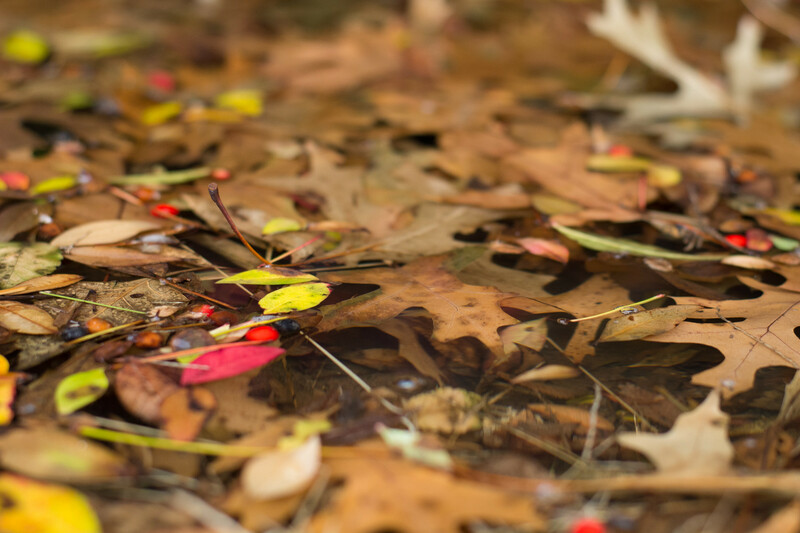 It was cold, rainy, and though I had my D7100 + 50mm lens with me I was not really in a picture-taking mood. I just wanted to get inside and warm up, but a little voice over my shoulder told me to pause, set down my backpack (because briefcases are way lame), and just take a photo already. So I knelt down on the soggy grass and got to work. The biggest challenge here was actually the editing. With so many buttons and sliders available in Lightroom it can be easy to go overboard, but I wanted to keep things reigned in while still getting a nice vivid image. Prior to editing the picture looked far too dull and lifeless, but that’s why I shoot in RAW: to have enough color data available to make the final image represent what I actually see in real life. Initially I had it way over-saturated, way over-contrasted, and even gave in to the temptation of Clarity Overload, but realized yet again that less is more, and finally settled on the version you see here.